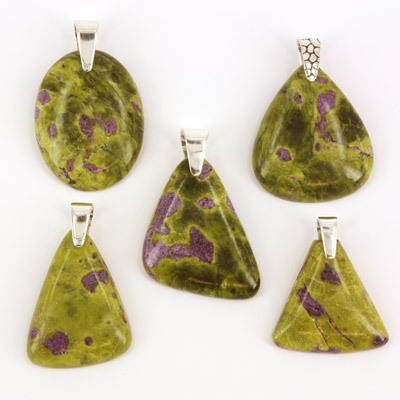 Stichtite in Serpentine and Sterling Silver Pendants. Wholesale. Buy Australian Gemstone Jewellery Directly from Supplier. Atlantisite Pendants. Atlantasite Pendants. 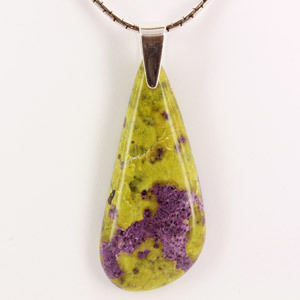 This is purple stichtite in green serpentine. It is mined in Tasmania, Australia. 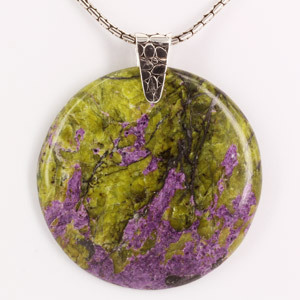 Some people call this stone atlantisite or atlantasite.